Andrew Nellestein didn’t play Monday night, the local catcher doesn’t see a lot of time with TJ Daily and Landinn Eckhart ahead of him at the position. 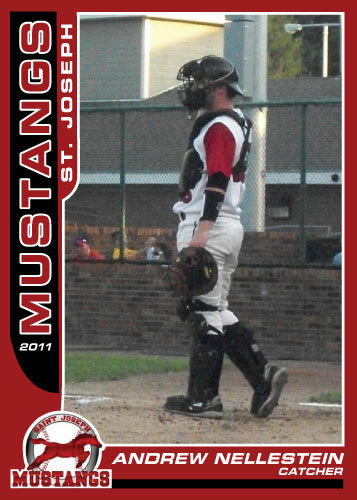 The Mustangs did win 7-1 thanks to a strong start by Jayson Huett and two doubles by Brent Seifert. Seifert drove in 3 runs on those two hits. It seems he always gets hits with runners in scoring postition. Huett got the win and is now 3-0 with an impressive 2.13 ERA.